By Costa Maragos Posted: May 15, 2017 6:00 a.m.
Joe Phelps just might be the most outgoing and influential Saskatchewan politician you’ve never heard of. 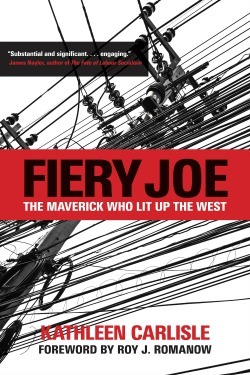 Phelps’ colourful life is told in great detail in the book Fiery Joe: The Maverick Who Lit Up the West, by Kathleen Carlisle and published by U of R Press. The book will officially be launched Tuesday, May 16 at 7 p.m. at Innovation Place located on campus. Phelps meteoric rise and fall in the rough and tumble world of Saskatchewan politics, happened in a span of 10 years, during the day when the CCF ruled Saskatchewan under the leadership of Tommy Douglas. Joe Phelps was the "ultimate Saskatchewan archetype, embodying grit and determination" - Kathleen Carlyle - Author. A lot has been written about Douglas but little is known of Phelps whose influence on Saskatchewan can be felt to this day. “Phelps was a fascinating, engaging and charismatic person,” says Carlisle, who graduated from the U of R with an Education Degree in the 1980s and earned her Master’s in Education in 2010. She is currently Literacy Consultant with Living Sky School Division in North Battleford. After serving a term in opposition, Phelps burst onto the political scene in a big way in 1944, when as a CCF M.L.A. in the Saltcoats Constituency, was appointed Minister of Natural Resources and Industrial Development. It was a critical portfolio. Phelps was faced with the challenge of turning around Saskatchewan’s near-bankrupt economy. With support from Douglas, Phelps moved quickly and decisively, pushing forward the CCF’s economic reforms. He developed northern airlines, spoke up on women’s issues and the environment, advocated for indigenous rights and established the groundwork for rural electrification which brought a reliable power source to thousands of farm families. Phelps’ political star fell about as quickly as it rose. He lost his seat in the general election in 1948, even as the Douglas government was re-elected. However, he remained active in his post-political life. He played a pivotal role in developing Saskatchewan’s Western Development Museums. He revitalized the Saskatchewan Farmers Union and served on the Royal Commission on Agriculture and Rural Life in the fifties, and in his later years advocated for seniors’ rights. However, as Carlisle is quick to point out, Phelps was a complex individual and somewhat misunderstood. “I don’t want to oversimplify or misrepresent him. Best if folks read the book and make up their own mind,” she says. The book launch, May 16, will feature a talk by Carlisle as well as Phelps’ grandson Dr. David Goranson and former Saskatchewan Premier Lorne Calvert. The book’s foreword is written by former Saskatchewan Premier Roy Romanow. The event is free and open to the public; wine & refreshments will be served. 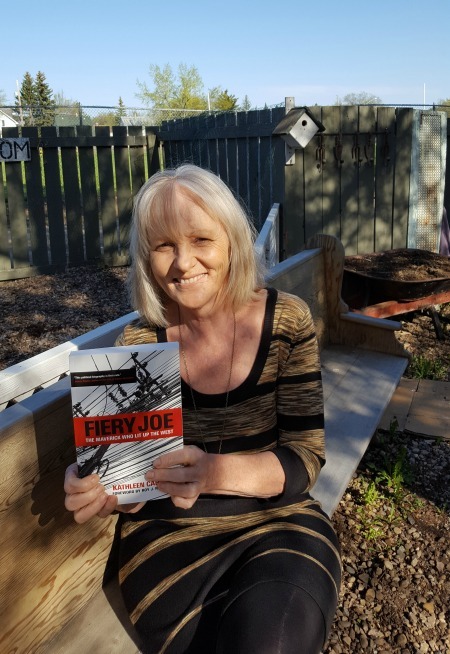 A book launch will also be held in Saskatoon at McNally Robinson on Wednesday, May 17 at 7 p.m.